I take Chrysin 500 mg by MRM to help my testosterone keep from converting to estrogen. 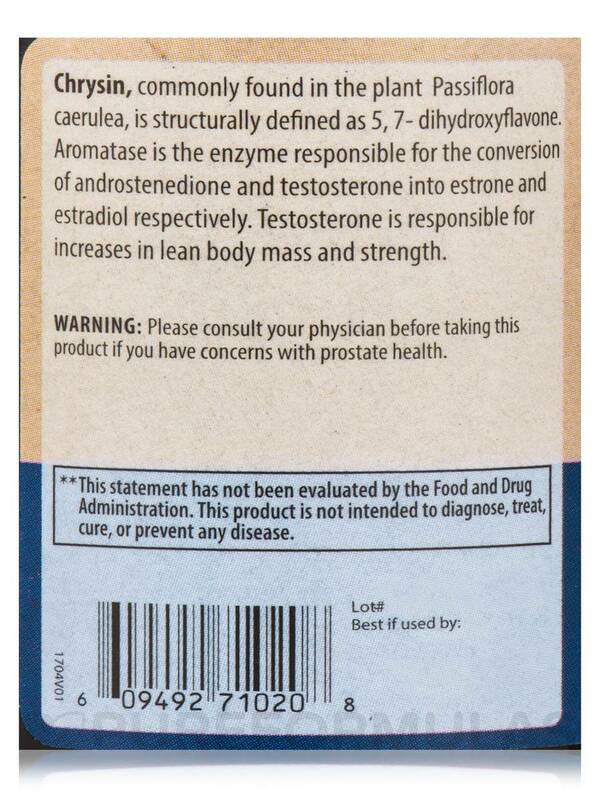 It's a good aromatase inhibitor for men. Chrysin is compound found in the flowers of some fruits‚ in oyster mushrooms and in the herb chamomile which is often used to make a calming tea. 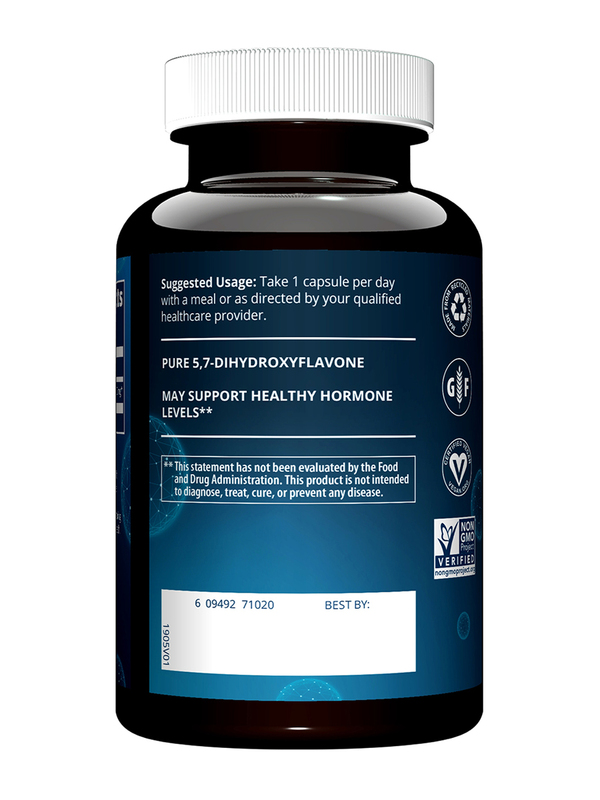 Chrysin appears to work synergistically with herbs that enhance testosterone to act in a hormone balancing way by limiting the action of a key conversion enzyme. 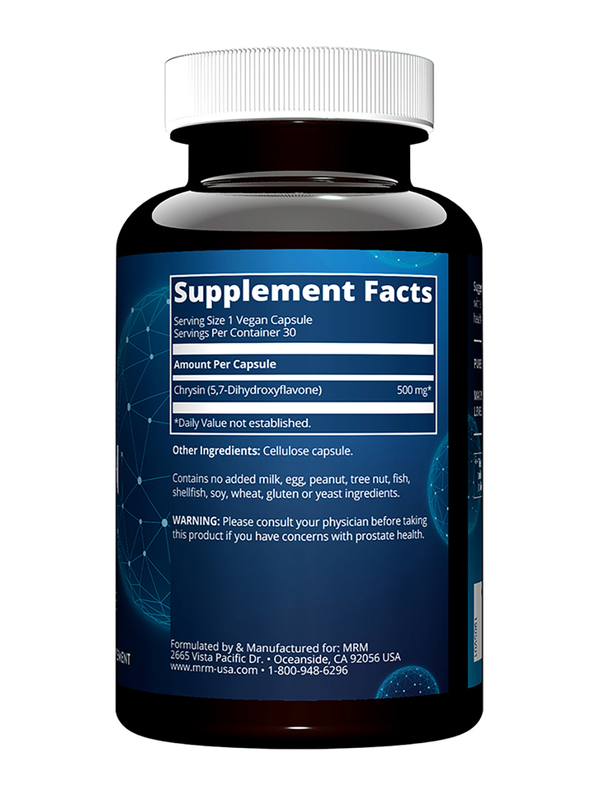 It has been reported to enhance the development of lean muscle in both athletes and older people. 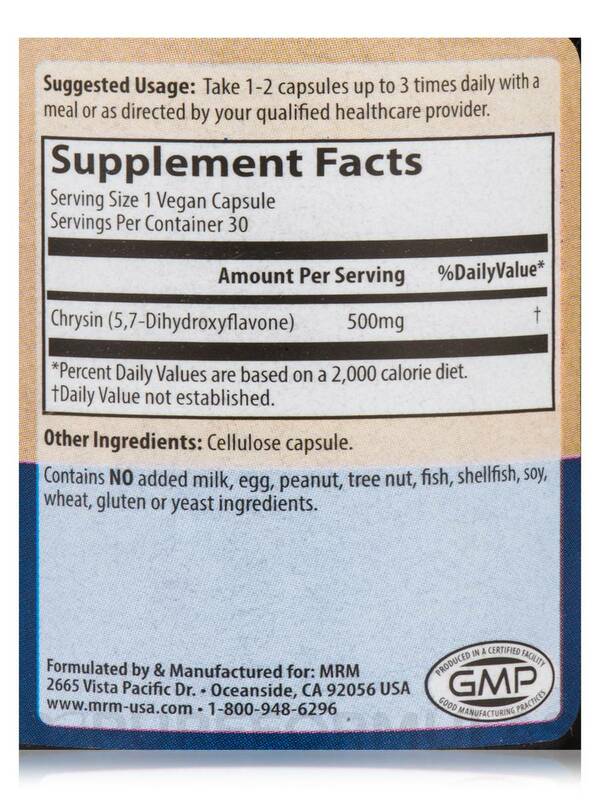 Contains no added milk‚ egg‚ peanut‚ tree nut‚ fish‚ shellfish‚ soy‚ wheat‚ gluten or yeast ingredients. Vegan / Vegetarian / Produced in a GMP Certified Facility. Chrysin 500 mg by MRM works just like it should and the shipping was faster than expected. Because of certain medicines my 22 year old son's testosterone was low and his estrogen and prolactin were higher than normal. 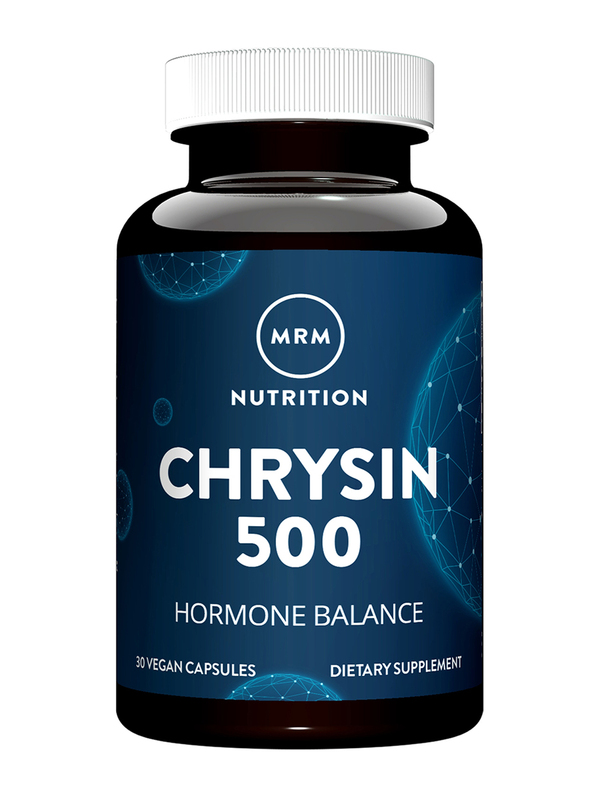 An endocrinologist wasn't much help so I stopped by our local health food store and they recommended Chrysin 500 by MRM, so I ordered it at PureFormulas.com. It has been working for him so far, his levels are almost normal! They also recommended Panax Ginseng and Zinc. We'll check his blood work in a few months again but I suspect everything will be back to normal. Easy to take, works great. Wish the cost were lower or came in a bigger quantity. He takes 4 caps per day, so one bottle only lasts a little over a week.